Since they were first detected 10 years ago, rare and brief bursts of cosmic radio waves, known as fast radio bursts, have remained one of the biggest mysteries in astrophysics. 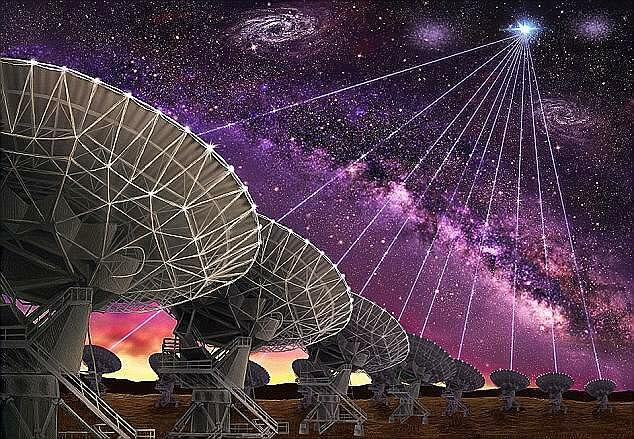 And the latest fast radio burst, called FRB 150215, might be the most perplexing one yet. Despite spending the last two years using telescopes to find anything associated with it, researchers have admitted they're still clueless about where this one came from. Researchers from the Netherlands Institute for Radio Astronomy first detected FRB 150215 in 2015, and have been working since to understand its source. Speaking to Gizmodo, Emily Petroff, who is leading the study, said: 'We spent a lot of time with a lot of telescopes to find anything associated with it. 'We got new wavelength windows we've never gotten before. So far, 22 FRBs have been detected, but astronomers believe that there could be up to 2,000 in the Universe every day. While astronomers can usually use telescopes to pinpoint the likely source of the burst, FRB 150215 has left the Dutch team baffled. It can be viewed through several telescopes, but has not left any detectable signal or trace of light. 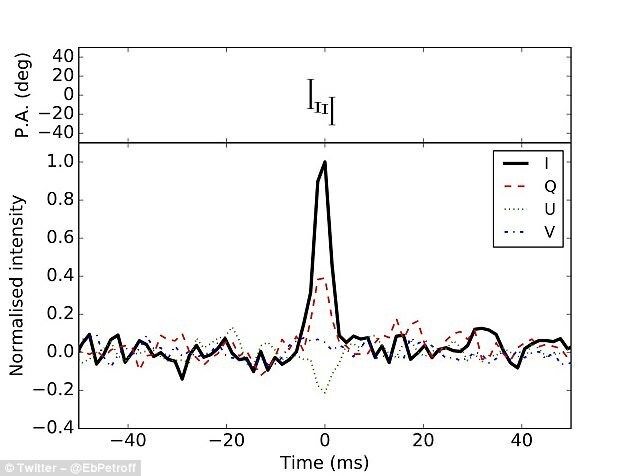 In their paper, published in arXiv, the researchers said: 'The burst was followed up with 11 telescopes to search for radio, optical, X-ray, gamma-ray, and neutrino emission. Adding to the mystery is the fact that FRB 150215 shouldn't have been detectable from Earth given the direction in space it is coming from. It had to pass through an extremely dense region of the Milky Way to reach us. The galaxy's magnetic field should have changed the way the light from the radio burst travelled – but it didn't. While some have questioned whether FRBs are signs that aliens are trying to contact us.